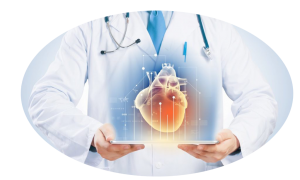 Provide World-class Cardiology Treatments and Services at affordable costs to the patients with the best Clinical team and Cutting Edge State of the Art technology. Committed & Compassionate Patient Centric Care with the highest quality & safe heart care. To provide personalised care to every patient every time and that exceeds their expectations. We will also strive to expand our accessibility by targeting remote and under-equipped areas of the Society. Maintaining the 3 A’s – Assurance, Affordable and Accessible Cardiology Practice. Cardia strives to be the premier HEART care provider in India and the finest destination in Primary to Tertiary Cardiology Care. Holding a high Standard of Medical Ethics, Cardia assures the highest Patient Care Service. © 2018 - Cardia Care | All Rights Reserved.